The Centre Pompidou’s plans to open an offshoot branch in Brussels are moving ahead after the winning architects for the project were confirmed. The new culture hub housed in a former Citroën garage will be transformed by a team comprising ces noAarchitecten (Brussels), EM2N (Zurich) and Sergison Bates architects (London). 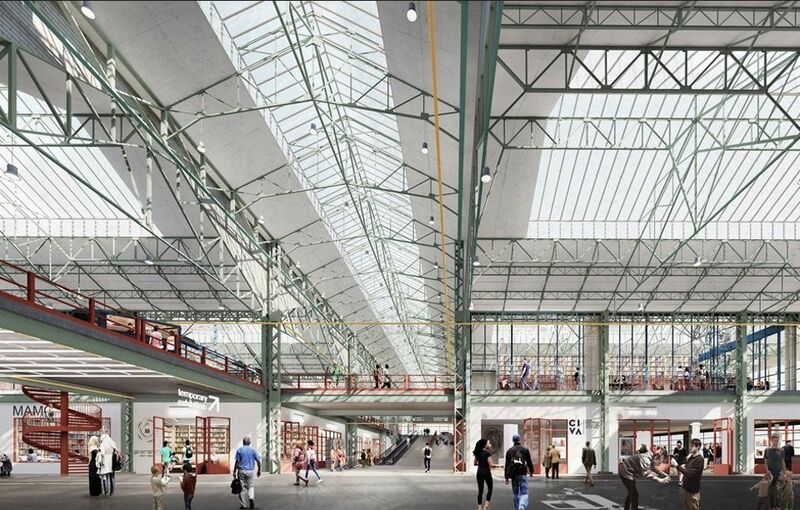 “The new centre, under the name Kanal-Centre Pompidou, will bring together the 12,200 sq. m Museum of Modern and Contemporary Art, an architecture centre (CIVA Foundation) and public spaces devoted to culture, education and leisure,” a project statement says. The Kanal-Centre Pompidou is due to open 2022. The Brussels-Capital region—which acquired the 16,000 sq. m Art Deco-style building in October 2015—is the main funder project, with the conversion costing €122m. A pre-launch programme will open on 5 May. “During the 13 months preceding the start of the [building] work [in autumn 2019], the public will be able to discover this mythical building in its raw state through several art and architecture exhibitions, large installations and ten brand-new creations by Brussels-based artists,” the statement adds. There will also be shows produced in collaboration with cultural organisations from Brussels. The architects say in a statement that they intend to open up the central space in the Citroën building. 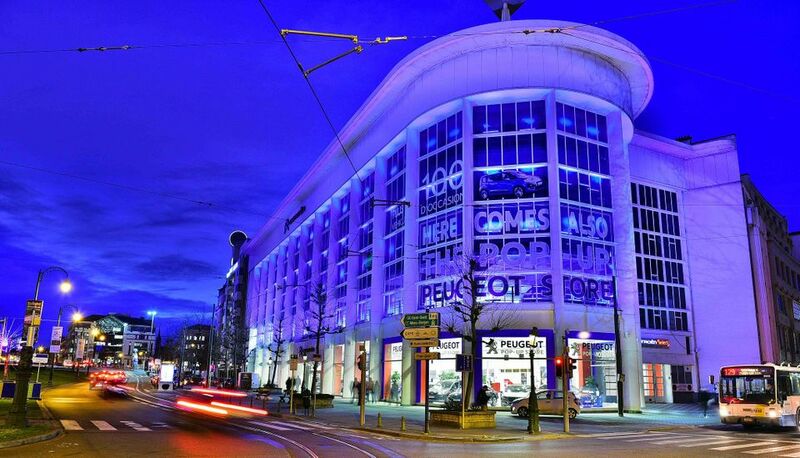 “Our proposal celebrates its icon, the former Citroën showroom, by opening it up and inviting the city in,” they say. “Inside, a transverse ‘street’ will cross the site measuring 35,000 sq. m, giving access to three large ‘boxes in the box’, which will be inserted in the former workshops and will accommodate the Museum of Modern and Contemporary Art, the CIVA Foundation and a 400-seat auditorium.” A production space will be available for artists and schools to work in. The Centre Pompidou plans to loan works from its 120,000-strong collection, the largest Modern and contemporary art holdings in Europe. Serge Lasvignes, the president of the Centre Pompidou, says that the Pompidou will advise the new institution on “the acquisition strategy for permanent collections and the development of the future museum”. It will also collaborate on programming. “Let us not mistake the nature of this project: we are not talking about a Museum for Brussels. Although this is an important aspect of the brief, it is not what we are talking about, nor is it what we should be talking about. Kanal is much more than that. We call it A Stage for Brussels, with a large art museum and an architecture centre at its heart,” the project partners say. Collectors and curators in Brussels have however been increasingly vocal in recent years about the need for a major museum of contemporary art in the capital.